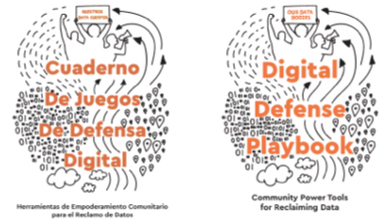 Here you can download some helpful material to better understand our project. You can also access additional information on our Blog. Nearly three years in the making! Order a printed copy here. Download a PDF version here. Choose from four options: Spanish, English, Spanish–booklet style, English-booklet style. 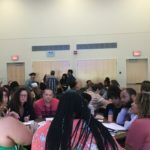 We published our interim findings in a report presented at the 2018 Allied Media Conference in Detroit. Click here to download the PDF. 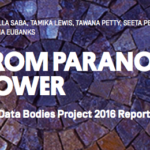 The Our Data Bodies (ODB) Project is a collaborative, participatory research and organizing effort working in three cities: Charlotte, North Carolina; Detroit, Michigan; and Los Angeles California. This report details our preliminary findings from our first year. Download our first community report. 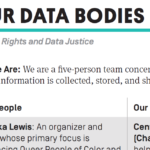 Whatchu Know About Data is an activity designed to stimulate a deeper understanding of the term “data,” what it actually means and represents, and the different types of data that exist. 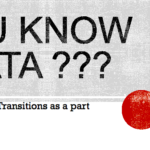 Download Whatchu’ Know About Data (slides). We have a short handout about our project. Learn about who we are, what we are doing, and why. Click here to download the PDF. Made with River Theme. All ODB content is published under a Creative Commons CC BY-SA 4.0 license.